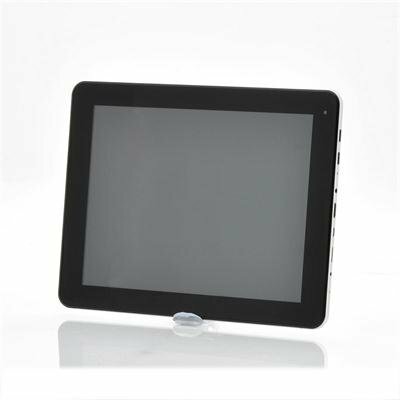 Successfully Added 9.7 Inch Budget Android 4.2 Tablet PC "Calypso" - 1.2GHz Quad Core CPU, 1GB RAM, 16GB, 2MP Camera, 4K Video Playback to your Shopping Cart. 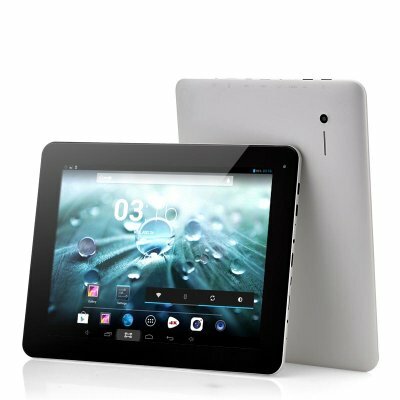 9.7 Inch Android Quad Core Tablet with 1GB RAM, 16GB Internal Memory, Dual Camera, 10 point capacitive multi touch 1024x768 screen and 4K video playback capabilities. Known as “Calypso”, it is said this budget friendly Android 4.2 Tablet PC is a descendent of the Titan Atlas and is grated immortality. All we know is that you won’t have to break the bank to acquire this tablet and that it comes with a fantastic 9.7 inch 10 point capacitive screen for endless entertainment. Take it with you on trips, while commuting to work or simply use it at home to kill time by watching videos, browsing the web, playing games and so much more. Coming with Android’s latest OS, Android 4.2 installed, you’ll have access to the wealth Google Play store which houses over 700.000 Apps and games. You’ll need a place to store all that content and that’s when the 16GB of internal memory will come in handy. Need some more space? Just plug in a MicroSD card and keep going. Offered at such a low price, you would think sacrifices had to be made somewhere but even the muscle behind the “Calypso” is impressive. Coming with a 1.2GHz Quad Core CPU and 1GB of RAM, you’ll be multitasking and running heavy applications without breaking a sweat and even 4K video playback is made possible. To top it all off, 2 cameras are available, a 2MP back camera and a 0.3MP front camera, letting you snap pictures and video chat with friends. Budget but fast, the “Calypso” comes with a full aluminum back and looks just stunning. In stock now, this 9.7 inch tablet can be dispatched to you within 24 hours and is backed by our 12 month warranty. Brought to you by the leader in wholesale Android tablets, Chinavasion. this tablet battery life is rated at 4hours. i have tested this tablet playing video clips using the inbuilt 4k video app with full brightness & sound with wifi & bluetooth off tablet battery lasted 5-6hours very happy with the build quality of this unit as well.